I’ve been seeing a lot of articles about states and governments announcing implementations of some benefits of e-Procurement, some are strictly vendor management or electronic RFP/RFQ and some are more advanced with full supplier enablement being in scope. In some cases the e-Procurement projects are embraced and in others vehemently opposed and resisted by many as governments overspending. Then I read an article and auditors report[https://sos.oregon.gov/audits/Documents/2018-45.pdf] on the state of Oregon that identified a huge potential savings for the state, simply by implementing e-Procurement. What was even more interesting was that any tax increases would be curtailed by the e-Procurement implementation. How did they analyze this data? State of Oregon auditors office looked at vendor data across several key vendor segments, but the majority focused on IT spend. What the auditors found was that the same components varied in the price paid varied by up to 44%. That’s pretty significant when you find that even if you take the median price that’s still a huge savings. The report didn’t even focus on other areas, so if IT spend is first imagine other areas such as construction or other capital intensive projects. The savings could be astronomical. Let’s contrast this with another state that has used e-Procurement for many years – the State of Virginia. Virginia was an early adopter with Ariba and has a very developed process for purchasing. They have programs that include SWAM contracts and fully transparency reporting available online. We’ve worked with the State of Virginia for over ten years and have seen them reap the benefits of implementing e-Procurement so many year ago. That’s the beauty and cost justification of e-Procurement. The initial setup costs are not insignificant and the project timelines can often be measured in years at times, but once the data starts trickling in the cost savings can very quickly offset the cost. When dealing with spend in the millions of dollars, saving even a single percentage point is huge. 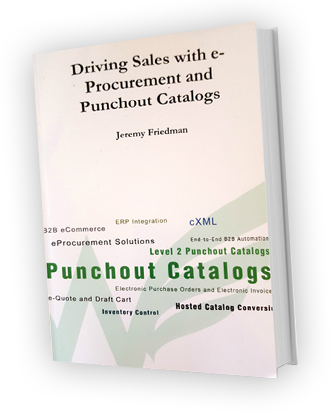 Let’s not forget about other benefits such as streamlining vendor registration or simplifying users shopping via punchout catalogs can further enhance the procurement process. More and more we’re receiving requests from not only states, but also municipalities that are even embracing e-Procurement. It’s always great to see when states and municipalities start to embrace the technology that companies have been using for many years. If I were a resident of Oregon I’d be even more thrilled because of the tax implications – or rather avoiding a tax increase. I can see how this type of justification by the states of municipalities will allow e-Procurement implementations and utilization to increase even further than it is today.